In 2003 Microsoft was doing everything they could to keep their the infant console afloat. 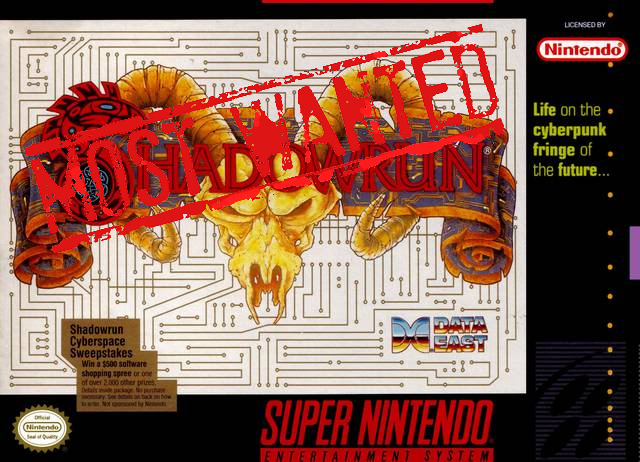 One of the ways they attempted this was with exclusive titles of every genre and type, from classic names we recognized like Conker and Toe Jam & Earl, to supplying the market with original titles like Blinx and Blood Wake. Many of these titles, especially the rebirths, were major failures, but some of them were just amazing. Among those is Amped 2, originally released October 28, 2003 (NA) one week behind SSX 3. The two were pitted directly against each other in a snowy race to the top of the charts. The original Amped launched to good scores but poor sales, leaving Amped 2 with a huge job: improve on greatness, but get noticed this time. Developer Indie Built succeeded, exceeding almost all expectations at launch, delivering (at the time) amazing graphics and decent controls. It quickly was acclaimed a must-have snowboarding game and spawned fans everywhere. It included local and LIVE multiplayer, massive drop selections and a few innovative features. Bundle up and drop into this weeks Most Wanted with us. Crimson Skies is a very elaborate universe set during the 1930’s, or to be more accurate an alternate 1930’s. The United States is in ruins, having Balkanized into several small jurisdictions. Planes have become the most common form of transportation, leading to the birth of air pirates. 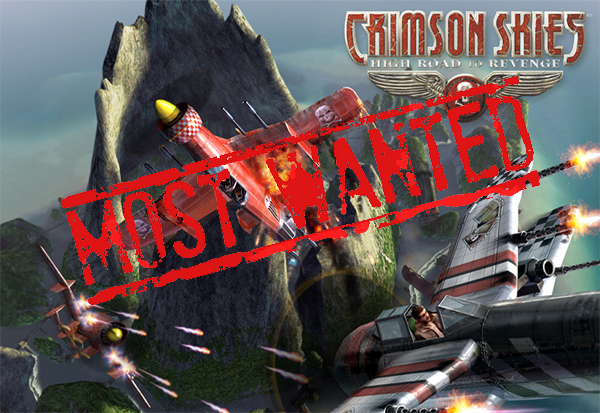 There have been two video game installments, Crimsons Skies and Crimson Skies: High Road to Revenge. Both games revolve around Nathan Zachary, leader of an air pirate gang known as the Fortune Hunters. Crimson Skies always provided players with great flight controls, minor plane customization and a world that is deep, rich, and very intriguing. 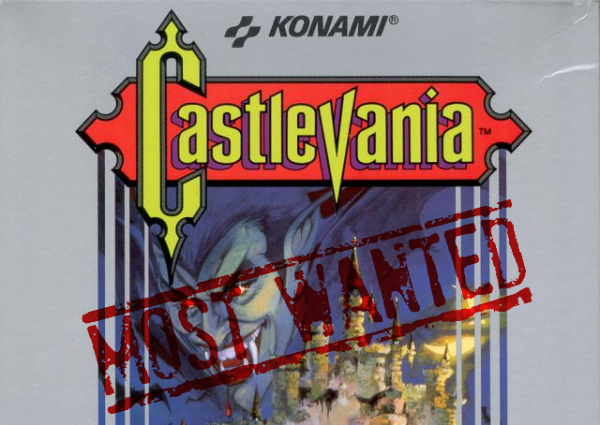 Castlevania has been a major part of the gaming world for over 20 years, bringing us many a Dracula slaying tale. This story encompasses many families, crosses thousands of years, and tells stories of love, betrayal, power and revenge. Each game delivers a solid story, but some lack the gameplay it takes to keep non-enthusiasts interested. Through out the years Castlevania has appeared on almost every system since the NES, telling one piece or another of this amazing story. Though this is a huge story encompassing many years and games, it all started with just one game. The basis was simple: every 100 years Dracula comes back from the dead unleashing his evil terror upon the world. You control Simon Belmont, a man who comes from a long line of Vampire hunters. With Dracula awake and doing his worst, Simon sets out to send him back to where he comes from, just like his family members before him have done. The Nintendo has always had a fond place in many gamers hearts and one of the forgotten games from that era is Fester’s Quest. It was a top-down view action game based off of none other then Uncle Fester from the Addams Family. The story line was completely off the wall, Aliens appear and start taking over the town, so you (Fester) grab your gun and go forth to become the savior. Encountering many of the Addams family members along the way who help you and make for some rather funny run-ins. Fester’s Quest was was a fun adventure taking you all over town, creating chaos with all sorts of aliens and bosses. Fester’s Quest relied heavily on the actual fun of the gameplay, which is all games really had back then, requiring you to stay in-tune with what was going on if you wanted to continue on to the next section. The over-head view gives a very Zelda-like feel, but was not the only one you encountered during this journey. As you find out the developers ventured into 3D with mazes that you had to journey through in certain sections. 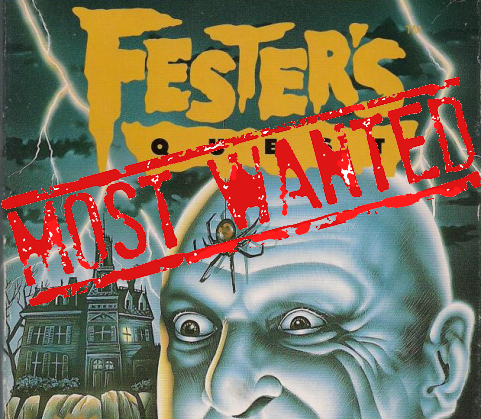 Filled with tons of weapons, characters, enemies and collectible items, Fester’s Quest provided an abundance of entertainment for its era. It’s a weird show this week. There’s not a whole lot to talk about XBLA related as a result this show is full of a few more tangents than the average one. We do talk some more about Dungeon Defenders though and there’s a few news stories to cover too. But we also hit a few retail related things, such as a certain Bat person’s newest game and some demos we tried out. 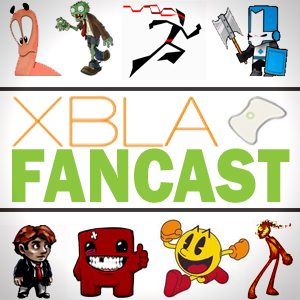 At the end of the show we try a little something new and bring the site’s Most Wanted feature to the audio realm as myself, Perry and Todd pick a game we’d like to see come to XBLA and explain why. The two console generations previous to this one saw a rather large amount of Star Wars related video games. With this generation however, due to various changes at LucasArts, we have been limited to LEGO Star Wars, Clone Wars and Force Unleashed games. Back in the PlayStation 1 era when Star Wars games were much more prevalent we saw the release of Star Wars Episode I: Jedi Power Battles. The Episode I in the title would suggest this was planned as a series which would follow the prequel films as they were released. Perhaps that was the plan but aside from a Dreamcast port and a GBA version (sans Episode I title) of the PS1 game a sequel was never made. 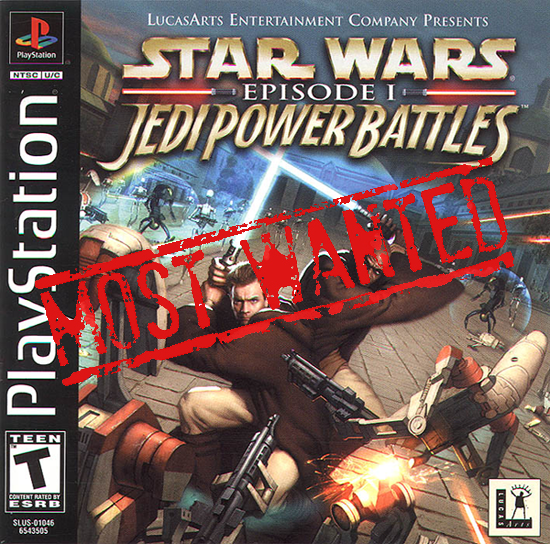 Jedi Power Battles was essentially a side-scrolling brawler akin to Streets of Rage or Final Fight. Changing the protagonists to Jedi and the enemies from street thugs to droids and various other space menaces makes all the difference. Power Battles was good mindless fun, playing alone or with a friend one could quickly go from level to level tearing down droids and battling bosses. It wasn’t ground breaking by any means but it was a fairly well executed take on the genre with a Star Wars skin.